Your home should be a safe, protected place where you can take refuge from the modern world. One of the most important things you can do to keep your home’s interior safe from sun damage and possible intruders is getting your windows tinted. Welcome to Tint Rite’s residential window tinting blog! Here, we will be evaluating and assessing the benefits of getting your home’s windows tinted. We will talk about different types of rooms that benefit from window tinting as well as the safety benefits of having your home’s windows tinted. 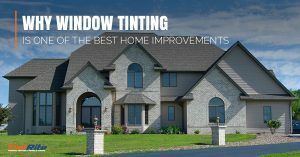 If you are ready to experience some of the best St. Louis has to offer in residential window tinting, be sure to visit our website today to learn more about Tint Rite Window Tinting!